How do I get dispatched? What are the rules for A's, B's, C's and D's? What is the Local's dues policies for the Trade Show Industry? How do I get medical insurance? If I have a problem or have more questions who do I talk to? Contact Teamsters Local 986 to obtain the paperwork needed (Application and Authorization) to start the process. If you decide to start with the Joint Training Committee class, call Johnathan DeMars at (626) 569-5419 to set up an appointment. He will also have the appropriate paperwork needed to join the Teamsters. Also, you can contact him via email at t...@gmail.com. You can receive special training through the Convention Training Classes by calling Stefan Heuss at (626) 569-5419. Although this training is not mandatory it can benefit you on the work-site. Aside from the orientation, you can also be certified to work on a forklift. Just by obtaining the forklift certification you could earn between $1.90 to $7.10 more an hour. In order to be dispatched to work for an event, the employer needs to know that you are available to work. The employers are obligated to seek qualified available employees for the necessary work-sites in a particular order of worker status...A's, A-Retirees, Preferred-B's, Industry B's, B-Retirees, C's and D's. Notify the dispatch or appropriate agent of the company that you are qualified and available to work before the time cutoff noted in the contract (Monday through Friday; A's before 1:30 pm, B's before 2:00 pm, and C's before 2:30 pm of the day preceding the workday). D's should also call in before 2:30 pm. There are different classifications of workers in the industry, generally based on the number of hours and employers they worked for in the previous year. Your classification dictates your order of dispatch, and if you qualify for medical benefits. Workers qualified for medical are A's, Preferred-B's, Retired A's, and Retired Preferred-B's. Employees can work toward obtaining a higher status and better benefits that go with it. A's are Regular employees of a company that is signatory to the Agreement, and are members in good standing with the Union. B's are employees working in the Trade Show and Convention Center Industry for at least 950 hours in the previous year, and are members in good standing with the Union. C's are employees working in the Trade Show and Convention Center Industry, are members in good standing with the Union, and have completed the minimum training and qualification requirements as determined by the Joint Training Committee. D's are individuals being used as supplemental workers, and who pay the Casual daily dues rate to the Union. There are established monthly rates for A's, B's, and C's. All D's pay a daily fee instead of a flat monthly rate. If you are already a member of the International Brotherhood of Teamsters and have fully paid the initiation fee there is no further initiation monies due. If you have not paid the initiation fee the member either can pay it all at once, or (as most workers choose) Local 986 will accept the daily fees from the first 90 starts. Once initiation fee of 90 starts are paid, the member will be moved to the C list, providing the employee has forklift certification. Dues should be received by the 1st of month, but no later than 20th. D's do not need to submit dues on a monthly basis, as they pay the daily fee. Remember to keep your Union dues current. Avoid missing payments and becoming suspended. If you are no longer working, then you can request a withdrawal card from the Local. A worker can become eligible for medical insurance if they are classified as an A or Preferred-B employee. Workers with a status of Industry B, C and D do not qualify for the medical benefits. An employee can qualify to receive a Preferred-B status (and the medical benefits) if they work at least the contractual 800 hours during the preceding year for one employer. The employee may work for several employers during the year, but they only qualify for the medical benefits with one employer. An employee that works more than 800 hours during the preceding year for multiple employers, but does not accrue at least 800 hours with one employer will not qualify for medical benefits, but will retain the B status. Retiree A's and Preferred-B's may also qualify for Retiree Medical Benefits. Please note that in the Agreement the Joint Training Committee, that is made up of both Company and Union representatives, has the ability to meet to modify the requirements needed to become a B status worker. This is to ensure that there is an adequate number of trained and qualified employees in the industry. 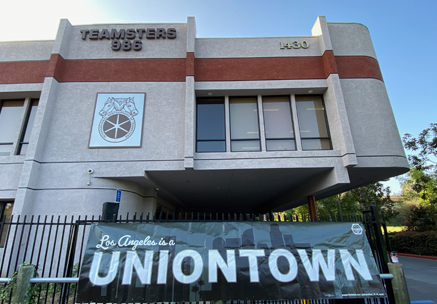 You can call the Teamsters Business Representative, Andy Perry, at 626-350-9860 x 128, or you can call the Teamsters Assistant Business Representative, Wes Trent, at 626-350-9860 x 100. If you have a question regarding dues, initiation, or member status call Gloria at 626-350-9860 x 111.